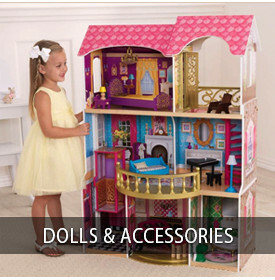 Pondering on the best toys that multiplies excitement in your little one's playtime? Then, you should go about buying these best selling batman figures online. Truly, you would find incredible deals as you shop batman figures online in USA. Your little one would be diving in a whole new world of excitement and of course adventure. You would surely be enhancing interactivity and building on his or her communication skills. Options galore as these figurines are set in different sizes and colors. These are washable and create a visual appeal to guests once kept in the living room. For sure, you would be spending extra time as you have a look at the entire collection. Grabbing deals won't be tough than you thought about. Lure Gotham’s thugs into a trap with the Batman Sonic Distractor! Batman’s Distractor has four sound..
Batman - Spectrum of the Bat Batman (Ultra-Frequency) NIP Action Figure from the 2001 toy series. Wh.. SPECTRUM OF THE BAT - BATMAN - SUB- FREQUENCY ARMOR BATMAN Features : Color : Size : Product dime..
BatmanTM and The JokerTM from Batman: Arkham AsylumTM, the video game adaptation of DC Comics world..
SDCC 2017 Exclusive DC Batman Beyond Unmasked Resin Bust Features : Limited to 450 pieces*SDCC 2017 .. Brand new, still in package! Features : SDCC 2016 Exclusive*Batman*Brand New, card included..
Ice Freeze Batman Hikari Sofubi Vinyl Figure is ready! Only Available at SDCC 2014. 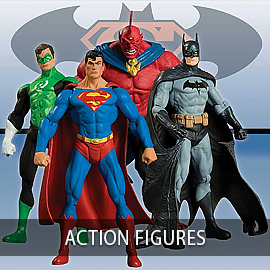 Features : SDCC ..
Monogram International proudly presents a six figure set of DC Miniature PVC Figurines. Heroes and v..
From the imaginative and expansive Scribblenauts Unmasked-A DC Comics Adventure comes the World s Gr..
Is The Riddler planning his next crime? Who has discovered Batman's identity? Will The Joker escape .. Inspired by the upcoming Batman v. Superman: Dawn of Justice movie, it’s a new twist on an old class..
Robin (Batman) Bobble Head Toy. Manufactured by Monogram INTERNATIONAL. Category: Bobble Heads. Make.. Brand New. Same as description. Package dated 2012. AUTHENTIC, IN-STOCK.SHIPPING FROM UNITED STATES!.. Here's a mind bender for the ages. This villainous whodunit is a delicious mystery fit for the crime..